getblogx.com at Website Informer. BlogX. Visit Get BlogX. 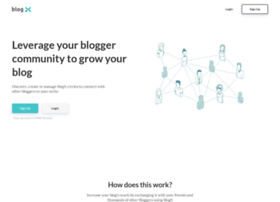 BlogX is a Free Traffic Exchange Network for Bloggers. Drive more traffic to your blog, by cross-promoting content on the BlogX network.